Seismic surveys are like an ultrasound of the Earth. We try and model what is below using tools at surface. Currently, we are able to tell when there is a contrast between two types of rock. We are still not very good at knowing type of rock we are looking at. One parameter that is poorly understood is known as attenuation. Seismic waves lose energy when they travel, and at some conditions it occurs faster than others. Fluids between rock grains are a main cause of this. We have no hope of understanding how this impacts models on kilometre scale surveys if we cannot first understand it in closed lab conditions. With a better understanding, we can begin to piece more traits about our subsurface model then where the interfaces are located. In the lab, we can create this condition. We can take a fluid filled rock, and apply stress too it, just as a passing seismic wave would. 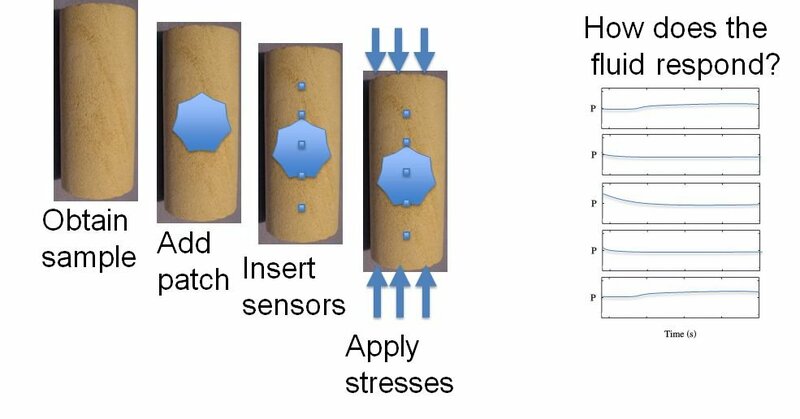 We can measure how fluids respond by inserting sensors into a rock. Left: finite element model of the rock with a fluid inside. 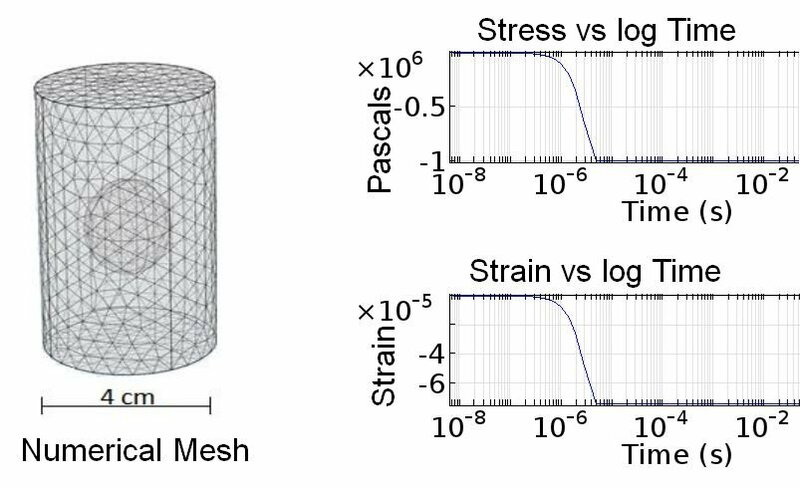 Right: An applied stress, and respondent strain for the model. 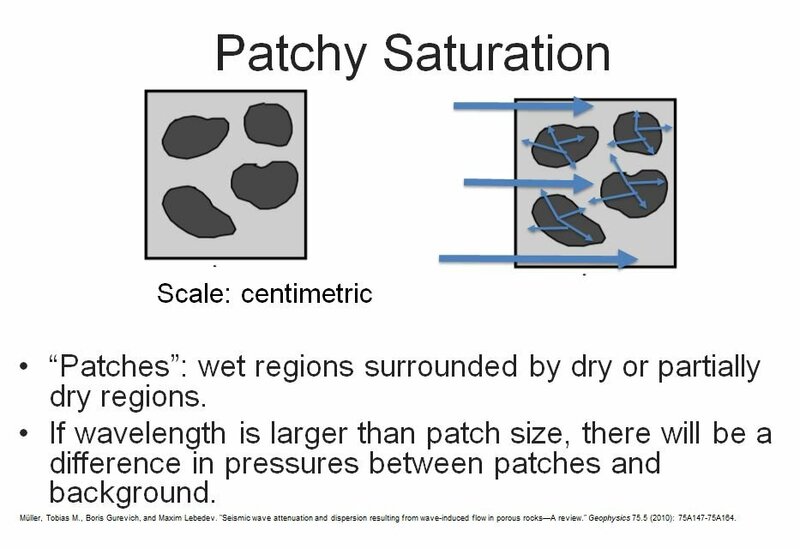 In our numerical experiment, varying the size of the fluid patch shows that 1/Q, or attenuation, shifts.